The pack itself is attractive and discreet. I’m personally not a fan of obvious branding and the Rücken’s only nod to its manufacturer is a patch front and centre. Externally this pack is stylish and has a very clean aesthetic. Zips, which are very smooth, and pulls are mostly black while the main two front clips have a more metal feel and are lighter in colour. You’ll also find three useful pockets on the exterior of the bag. The main front pocket is ideal for small items, there’s a stretch pocket for water bottles and a rather clever tripod holder. The Rücken also ships with a discreetly stowed rain cover found in a zipped pocket at the bottom of the pack. Before diving into the specifics for camera users it’s worth noting that all the dividers specifically designed to keep your photography equipment safe and sound are fully removable. This means it’s exceedingly easy to convert this pack into an everyday carry that would be also double up nicely as an overnight bag for short trips. However, it’s worth noting that by their own admission it might be too large to fit under an airline seat. I suspect this is due mainly to the relatively stiff sides which are required to protect the contents when used as a camera bag. That said, it should fit perfectly well in most overhead bins. This main compartment of the Rücken is accessed via the back panel making it very secure. This panel is very comfortable and the padding is put to good use as once open you’ll find a laptop sleeve on the back of it which is good for 15.6” laptops/notebooks or tablets. 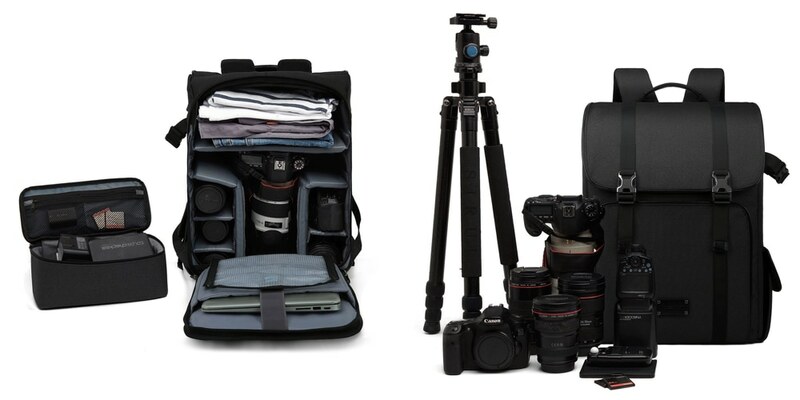 The main compartment comes with a removable and customisable padded divider set which allows you to hold one DSLR and 3–6 lenses and assorted accessories. This section is really easy to access once you undo the back panel and should make grabbing the right piece of gear a breeze. 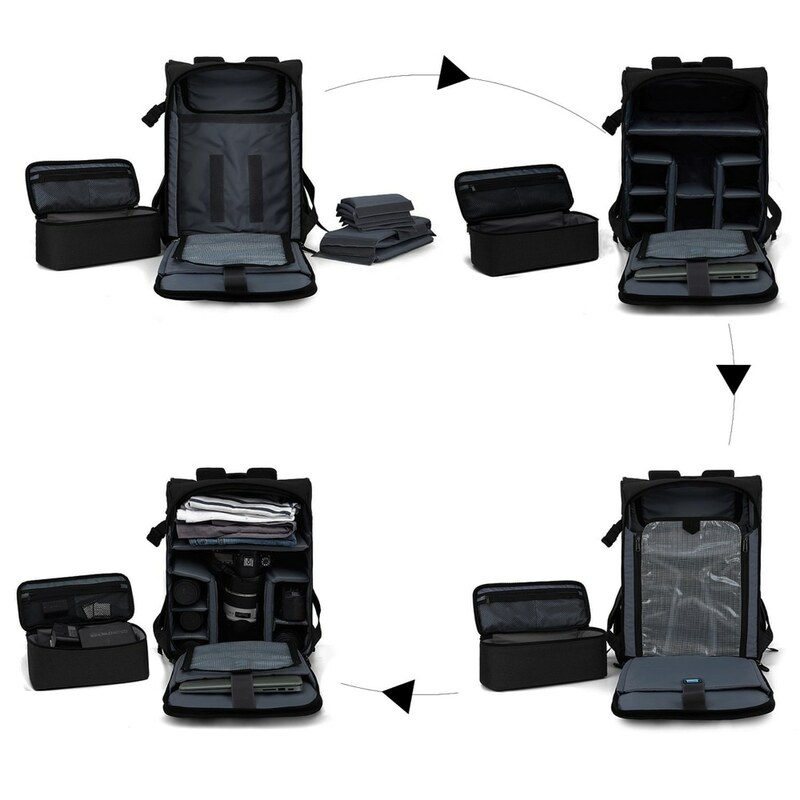 Interestingly, this pack features a small upper compartment which they suggest is for storing clothing. The review copy I received used this space to house another rather neat rectangular accessories case (pictured above) which again should prove very useful for photographers. I mentioned the padded back panel earlier and this marries well with the straps which are easily adjustable and very comfortable. It also features a chest strap should you wish to use one. 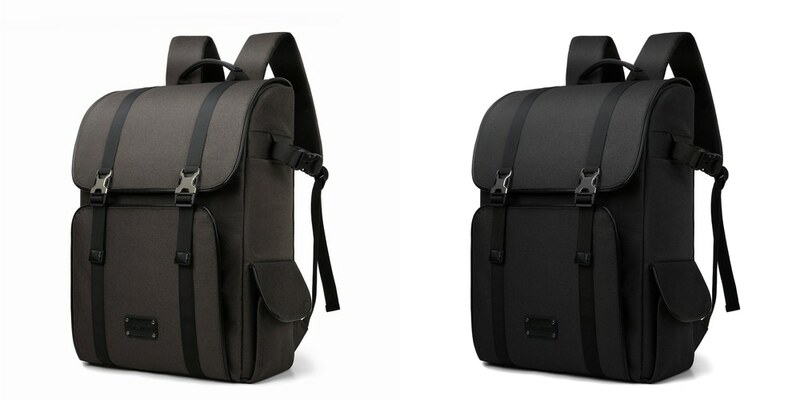 Overall I’m very impressed by the Rücken Camera Backpack. It’s great value, feels very well constructed and will double up as an everyday and/or overnight bag. Many thanks to Bagsmart who kindly provided me with a Rücken Camera Backpack in black for review.